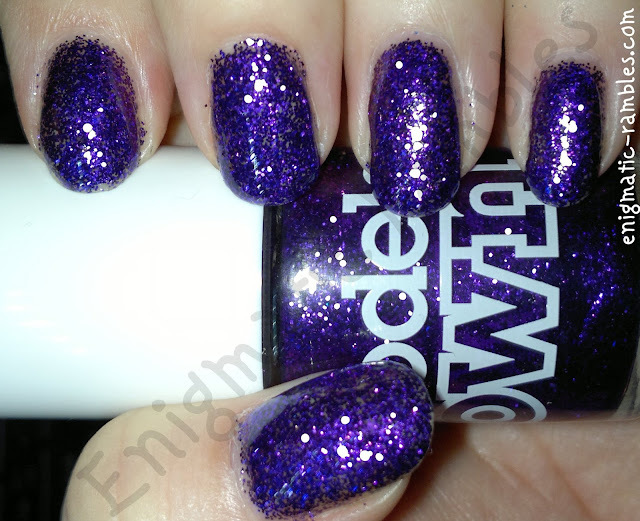 This is a standard one size, one colour purple glitter polish. The photo was of three coats so would work better over a coloured polish base. I think this is a stunning glitter and sometimes in these days of amazing multi shaped / coloured glitter polishes the standard sized glitters can be overlooked. But I like the simplicity and the colour.